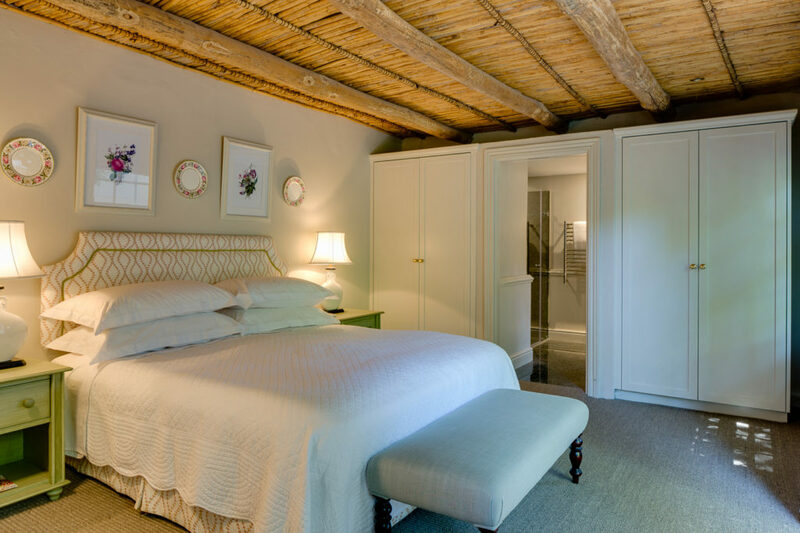 La Rive will draw you in like no other. 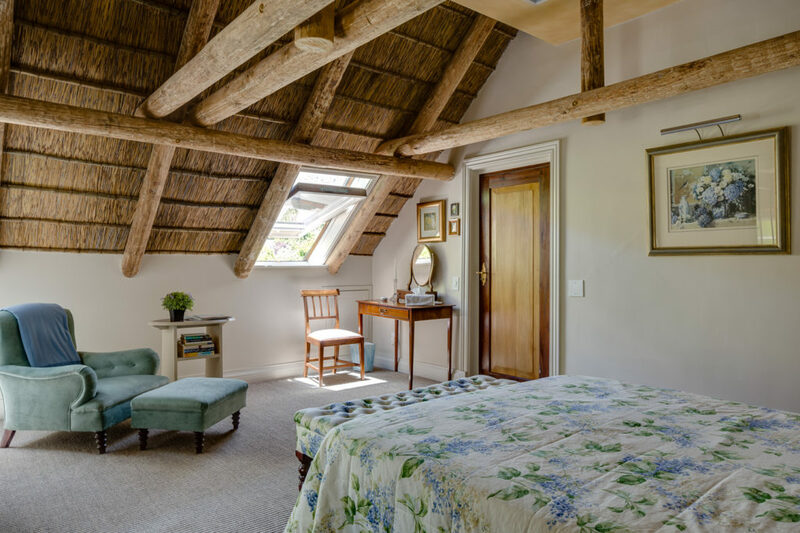 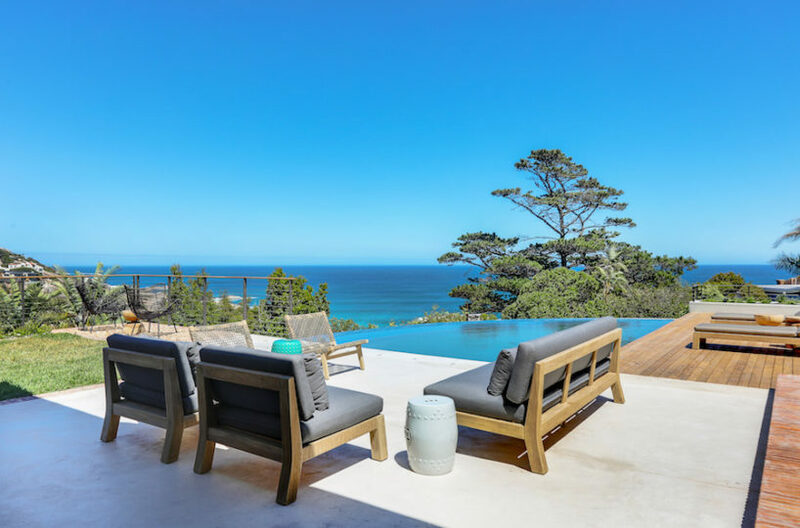 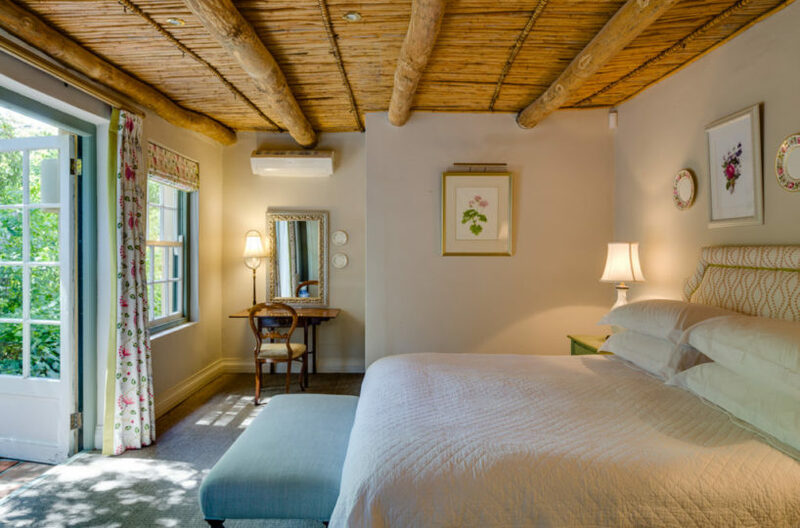 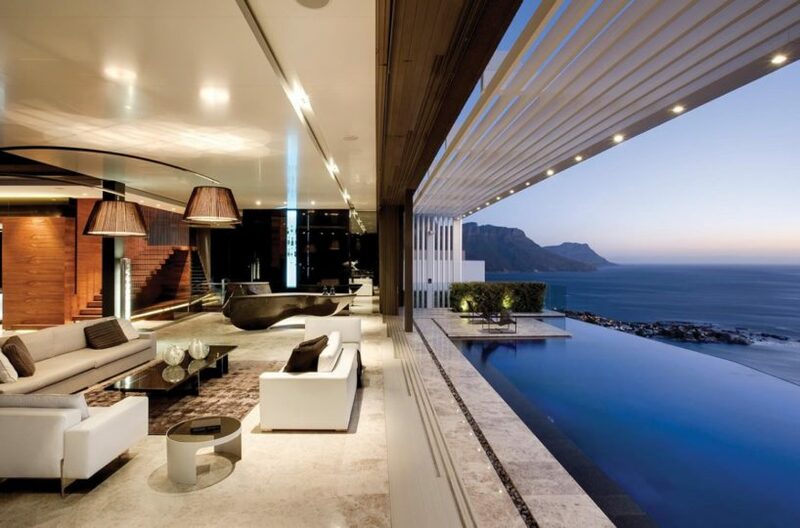 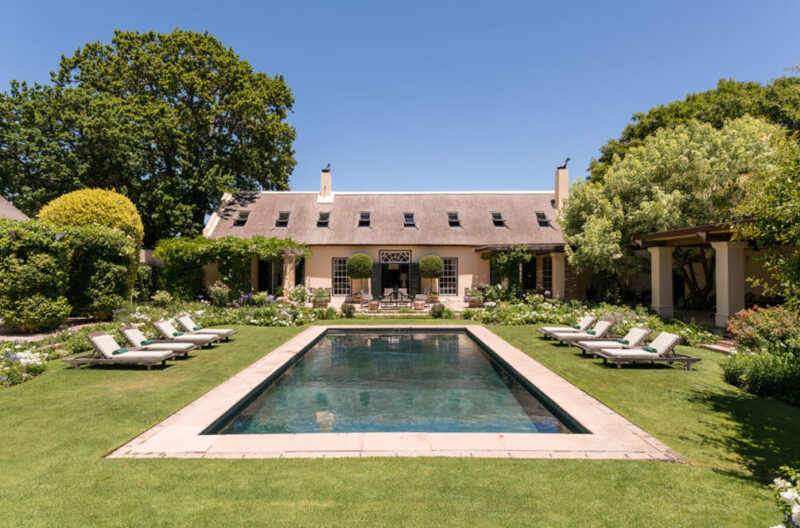 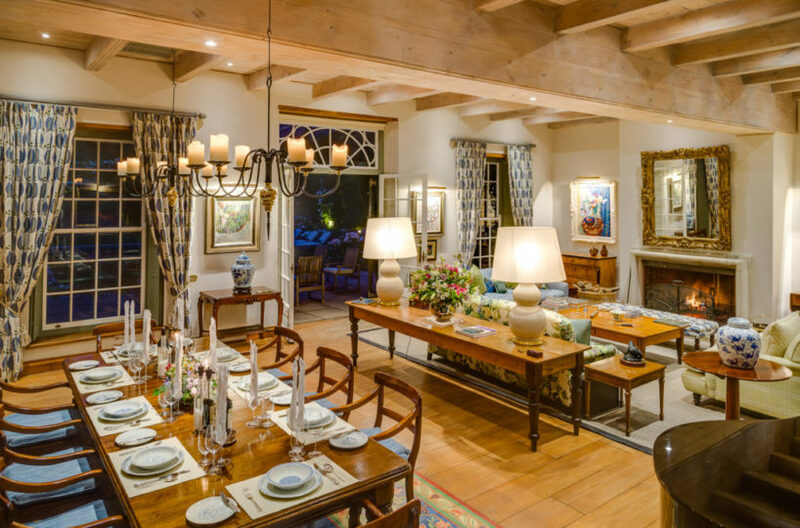 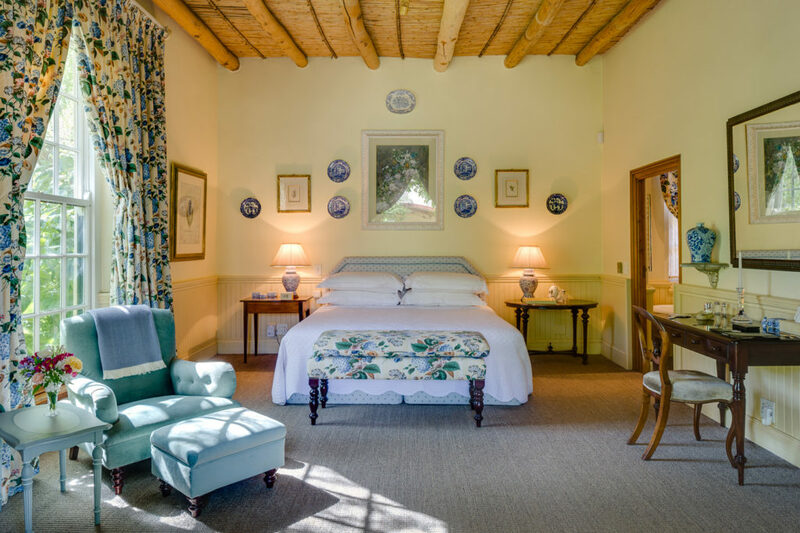 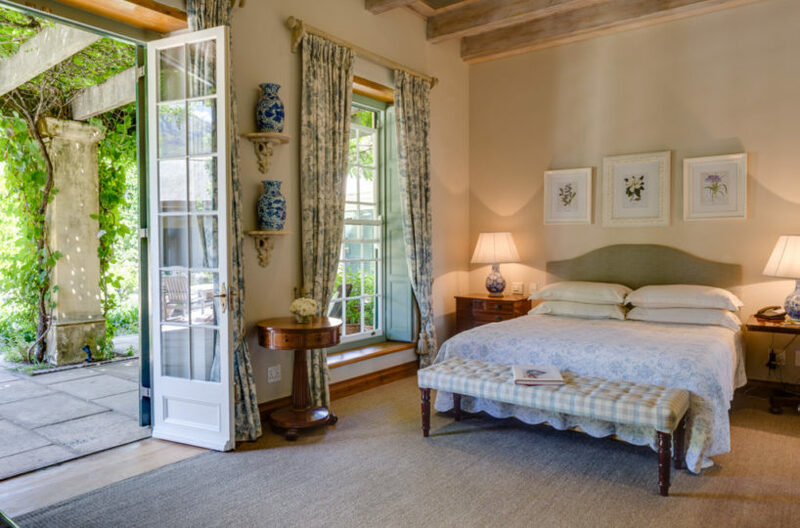 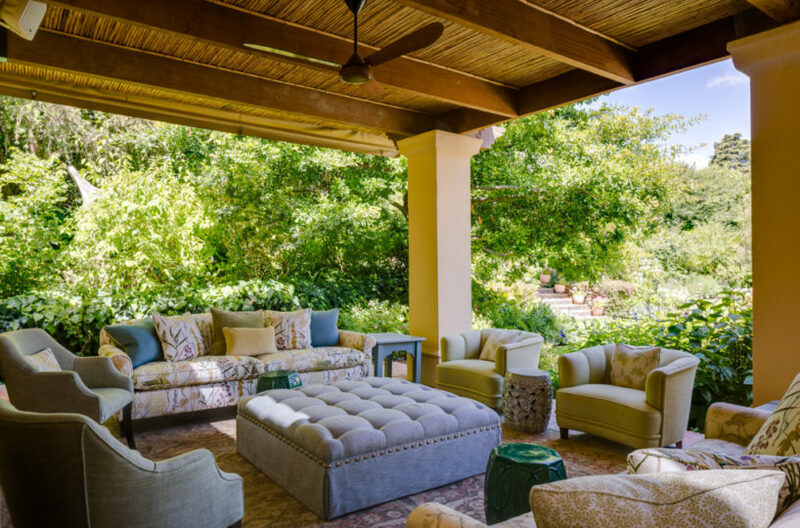 The luxurious 6 bedroom private villa has a sumptuous decadence of the very best traditional English and Cape Dutch style. 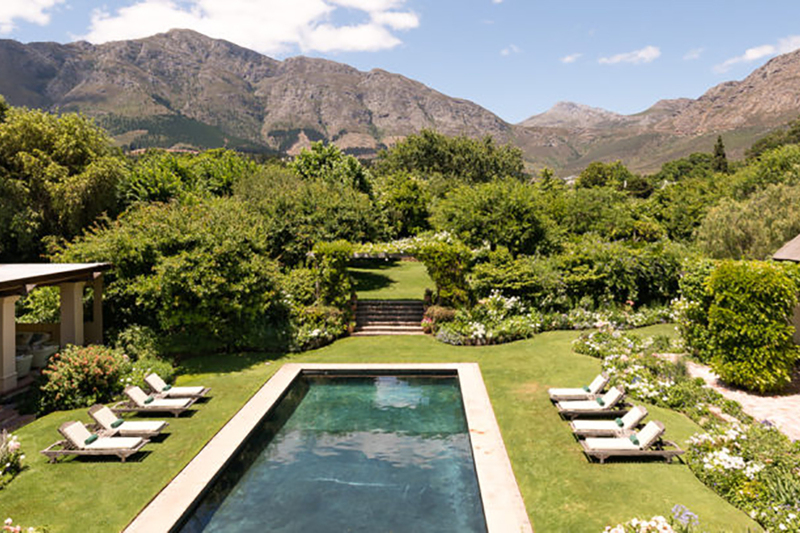 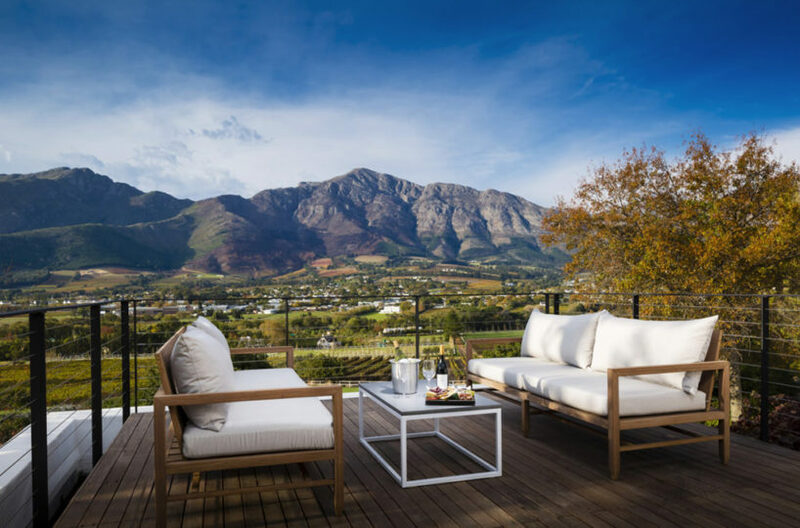 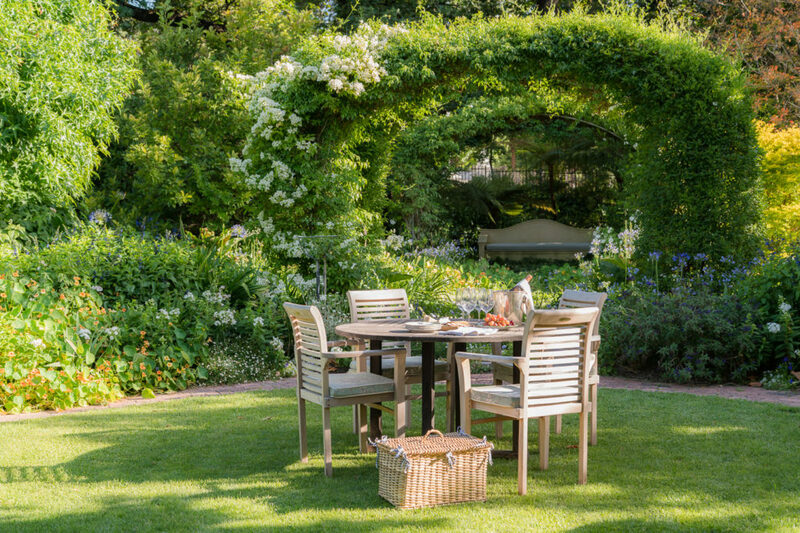 Expansive and tranquil gardens hide any sense that the quaint village of Franschhoek is just a few steps away. 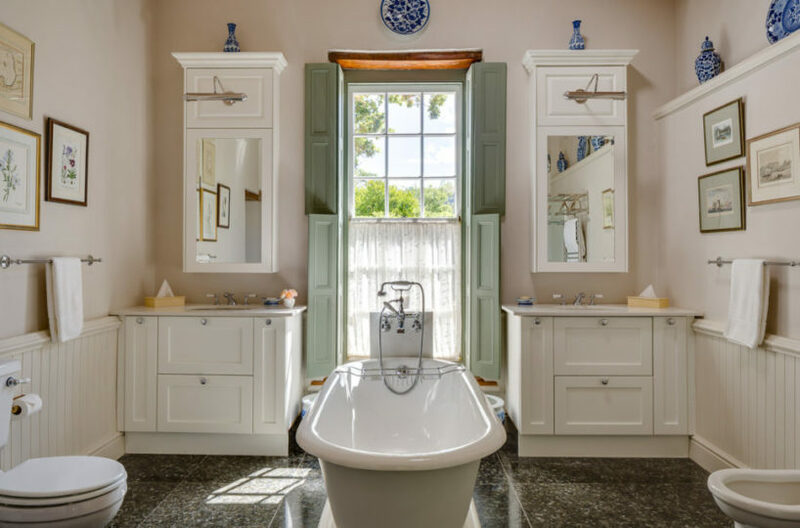 The house offers convenience and privacy in an impeccably decorated home, and with your own private butler it is quite possible you might not want to leave! 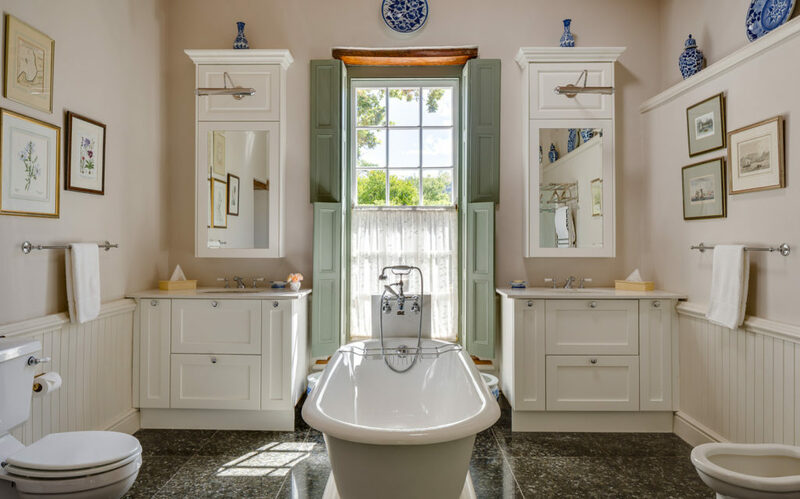 The enchanting house has air conditioning throughout and underfloor heating for those chillier winter months. 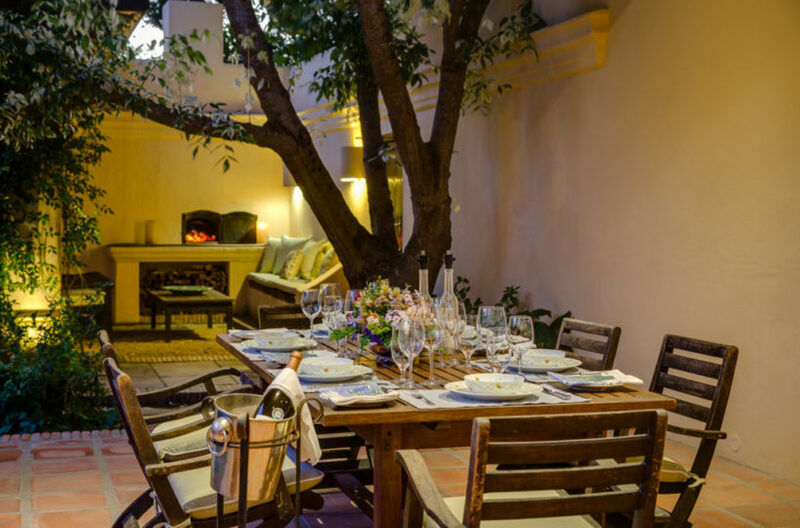 The garden has an inviting swimming pool and many alcoves and water features to keep you wondering and finding new places to relax, contemplate life or enjoy and aperitif on those warm summer evenings. 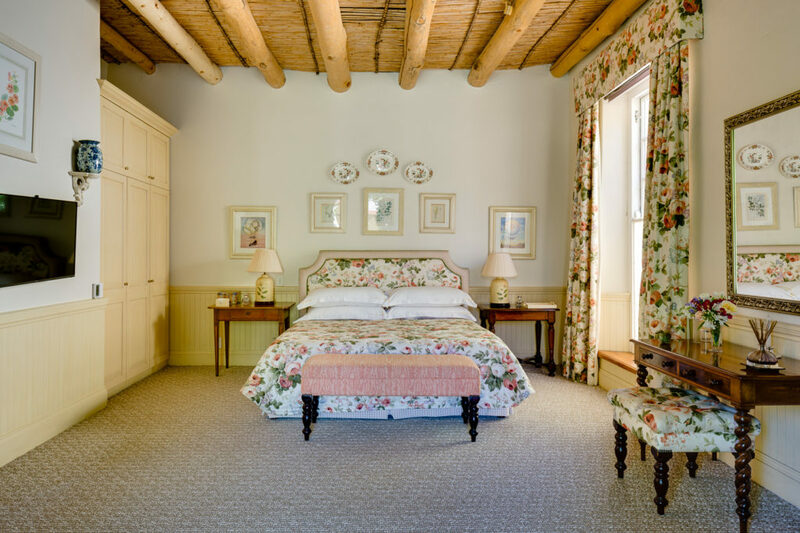 A live-in chef and butler will provide you with 5-star continental breakfast and world class service, complete with all the luxuries and amenities one would expect from somewhere like La Rive.